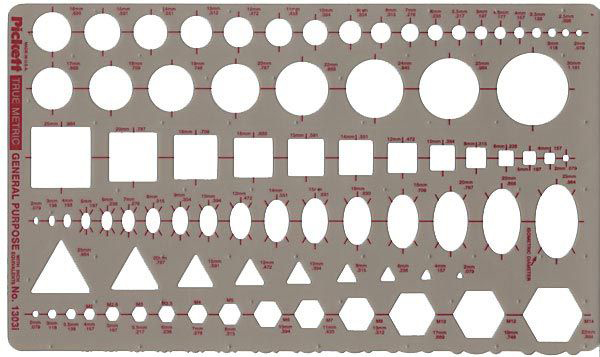 Metric General Purpose Drafting Template Circles, squares, triangles, hexagons, and isometric ellipses in metric sizes. Circle diameters range from 2mm to 30mm. Size: 15cm x 25cm x .8mm.